Sixpoint Brewery really crams plenty on and in their very attractive cans. 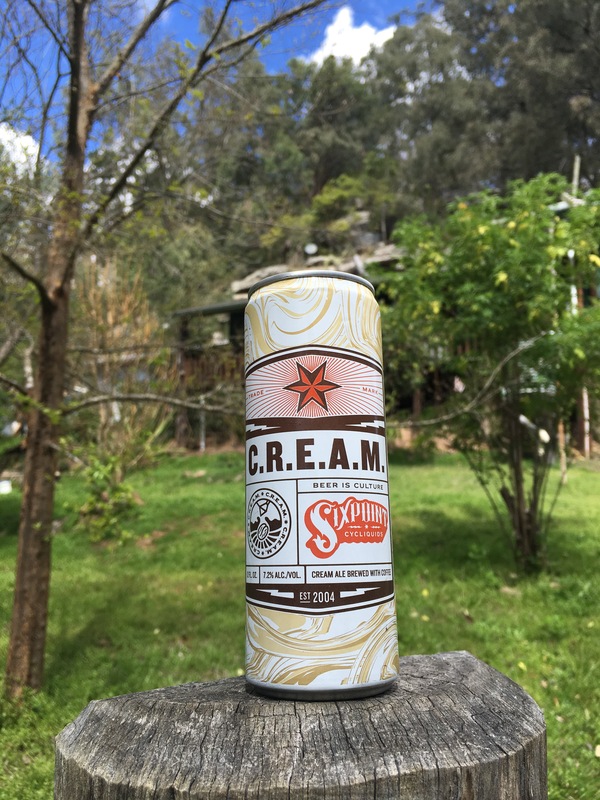 Nomad Brewing sell some of Sixpoint’s year round range at their Brookvale site. Sixpoint also do one offs in a range called Cycliquids – and this “coffee blonde” was available when I popped in for a growler refill. The can is a work of art and gives a great summary of what to expect. This is dominated by the coffee hit, but ultimately gives way to a rich boozy glow. It is very much like an affogato after you’ve eaten the ice cream and let the liqueur and coffee roll around. At 7.2% ABV, there’s a kick to it. Drink after dessert.